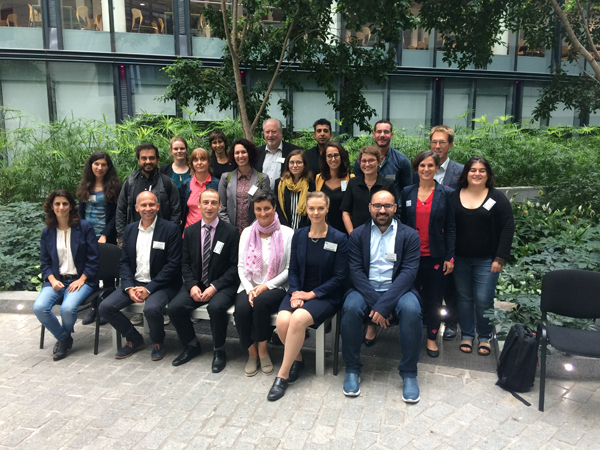 Last 4 September, the Pepticaps consortium met in Brussels before the European Commission for the final review of the project, slated to close at the start of October. The Commission considers the project a success story since it has served to develop smart capsules for the cosmetic sector capable of responding to skin requirements. The consortium, coordinated by CIDETEC, is composed of four other research centres – the University of Bordeaux, the University of the Basque Country, Claude Bernard Lyon I University and the Mario Negri Institute of Pharmacological Research – two companies, Polypeptide Therapeutic Solutions SL and AHAVA; and the consultancies, Spinverse and Angel Consulting. The project started three years ago with the aim of developing the technology, and following this period, was validated and implemented in production at the pilot plant mounted by CIDETEC for the purpose. The products obtained will be commercialised under the EMISSARY Brand through a new companyset up for the purpose that will bear the same name.